This September and October Black and Banned is showing almost daily at the BFI: a series of films, TV documentaries, and dramas that screens buried or banned films on the black experience, internationally. It’s a one-up on the prolific African Odysseys screenings, which occur monthly, and focusses entirely on films that have been kept from our screens in some way – ranging from limited distribution and release, to FBI suppression and even violent destruction by activists. It’s an incredible opportunity to see films that likely won’t be screened again for years to come. If you can somehow scam a ticket to this, do. Lumumba is one of Raoul Peck’s most loved films and is a gruesome and exhausting account of The Congo’s fight for independence from Belgium, and the eventual downfall of its first democratically elected Prime Minister, Patrice Lumumba. Played by (absolute spice) Eriq Ebouaney, Lumumba is a heartbreaking but inspiring story – a genuine history lesson for anyone looking to learn about the trials of African nations’ fights for independence in the 20th century. Trigger Warning – this film is incredibly violent, and unsparing in its portrayal of violence, abuse, and gore. Having seen it tonight, I cannot recommend it as a good, or enjoyable film, but I understand its importance in this particular canon. Let me just lay it out for you so you can decide if it’s too horrible to see, or so horrible it’s important to see. Goodbye Uncle Tom is a “spaghetti documentary” about the US slave trade, produced by Italian directors Gualtiero Jacopetti, Franco Prosperi, and Cicely Browne. The film has been equally celebrated and criticised for its shock-value approach to depicting the horrors of slavery, all accounted for from directors’ research into diaries and historical records from the time. The film frequently shows graphic violence and threat, makes no aim to spare the viewer from gory details, and films children and adults as they would have been treated during the transatlantic slave trade. This documentary charts the story behind Tommie Smith and John Carlos’ historic salute at the 1968 Olympic Games in Mexico. For those of you that haven’t delved into the history books on this one, Tommie Smith and John Carlos won gold and bronze medals respectively in the 200m sprint in the 1968 Mexico Olympics, and while on the podium to hear the American national anthem, each raised a fist in a black glove and held them raised until the close of the anthem. This film visits the athletes and their solidarity with the Olympic Project for Human Rights, and is accompanied by a discussion between Kunle Olulode (Director at Voice4Change, a national advocacy group for BME voluntary and community sector) and Tommie Smith himself. It’s going to be an incredible evening. 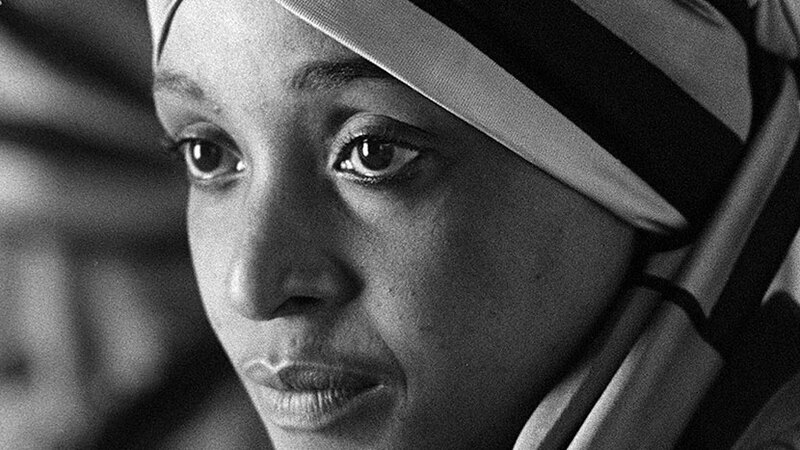 Pascale Lamche’s documentary shows unseen archival footage and interviews to explore Winnie Mandela, the controversial South African politician and social activist. Following her death in April 2018, we’ve had no end of coverage attempting to celebrate as well as undermine her position in the anti-apartheid movement. Whatever your feelings about her, this film is an intimate look at Winnie’s life and work. This is another one for the scammers out there – it’s currently sold out, but it’s worth a try. Give it a go at the box office, there may just be cancellations. 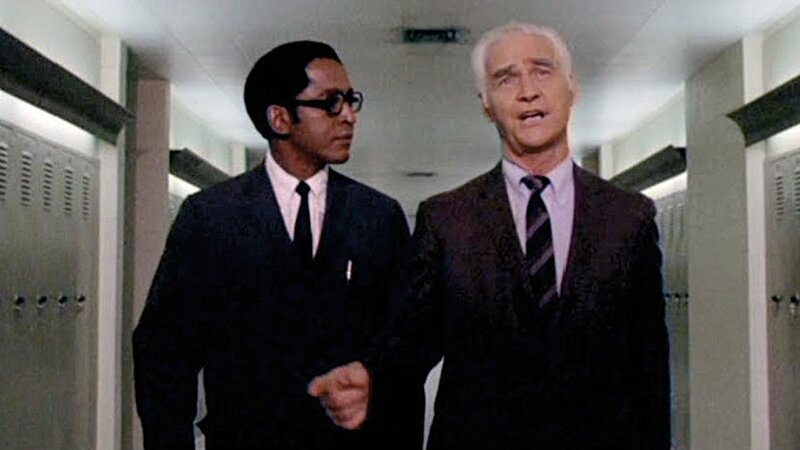 The Spook Who Sat by the Door is Ivan Dixon’s Blaxploitation classic that the FBI buried! The film is no doubt an inspiration for Spike’s recent Blackkklansman, charting the life of ex-CIA agent Sam Greenlee, radicalised by his time in the CIA to launch a violent career in revolutionary Black Power protests and attacks. Following its release, the FBI seized and destroyed all but one print, which was saved only by its mislabelling in Dixon’s archive. Featuring a soundtrack from Herbie Hancock, and what look like some killer 70s special effects, it’ll be worth the stress to see.